Ohio State University says former football star Maurice Clarett has been granted re-entry to pursue his degree after he spent more than three years in prison. Ohio State spokesman Jim Lynch says in a statement that Clarett started classes on Monday after he was readmitted by the College of Education and Human Ecology, where he was originally enrolled. Clarett says in a statement that it is a "surreal feeling to be back at Ohio State" and that he doesn't want to be a "distraction or nuisance" to the football team or other students. Clarett led the Buckeyes to the 2002 national championship in his only college season. He pleaded guilty in 2006 to aggravated robbery and carrying a concealed weapon, and served 3 1/2 years in a Toledo prison, where he took college-credit courses. Clarett was the starting tailback on Ohio State's 2002 football team that went undefeated and won the national championship. He never played a game for the Buckeyes after the 2002 season, reports CBS affiliate WBNS in Columbus. He was a third-round draft choice by the Denver Broncos in 2005 but never saw action in a regular-season game, WBNS reports. Left: Clarett in a 2002 file photo. On Jan. 1, 2006, Clarett was charged with aggravated robbery after police said he flashed a gun at people outside a bar and robbed them of a cell phone, WBNS reports. 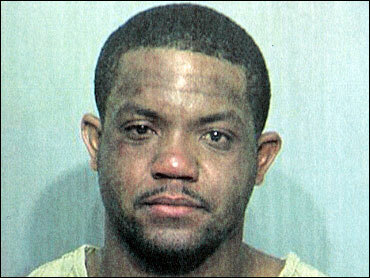 Then, on Aug. 9, Clarett was arrested after a chase when police said that they tried to stop him for a traffic violation.